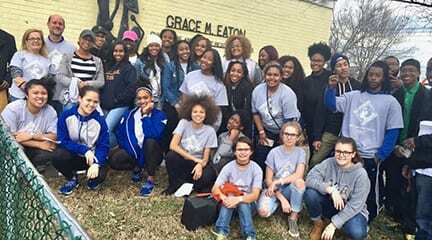 TSU students will join other colleges in Nashville for the MLK Jr. Day of Service on Saturday. NASHVILLE, TN — Tennessee State University will join other area higher education institutions in celebrating the Martin Luther King, Jr. Day of Service on Jan. 13. This year, Fisk University will be the host institution for an anticipated 500 students that will go into the community and provide service to more than 15 organizations. Students will meet at Fisk at 11 a.m. on Saturday, Jan. 13. Other institutions joining Fisk and TSU are: Belmont University, Lipscomb University, Meharry Medical College, Nashville State Community College, Trevecca Nazarene University and Vanderbilt University. One project in particular will take place on TSU’s main campus and will involve Tennessee State’s Student Government Association, along with representatives from student leadership organizations at each school. Called the Food Security project, organizers say the effort is expected to provide more than 10,000 meals for families in need.